Music stays forever. Maybe this is the most important message by 24-year old Juli Holz, the young artist producing electronic music that she sings in German language. Music has definitely stayed with Juli since she started learning the piano at the age of 11. Since then she has come a long way, from soul to hip-hop to techno, from home recordings to record releases, from the intimate space of her bedroom to the open stages of clubs and concert halls. Love, lust, the metropolis, the clubs, the people; loneliness, euphoria and melancholy: those are the big topics in Juli Holz's lyrics. Hailing from the small east German town of Erfurt, it are Juli's parents that first influence her at a very early age. Prince, Goldie and soul music are played around her home and when she is at the age to go out, hip-hop is the predominant music in the local scene in the late 1990s. But after visiting Berlin's infamous techno temple Berghain for the first time at the age of 18, she is immediately infected by electronic music and its democratic production principle. She has been making some music before, but from this day on, she has to 'follow the call of the bass drum', as she calls it herself. She swaps the piano for a midi-controlled keyboard and starts producing romantic electronic ballads together with Maria (now Chapeau Claque) under the name of “Zweiekkenkreis”. Their first release is already recognized and recommended by one of Germanys most renowned electronic music critics, Bleed from De:Bug magazine. Still, shortly after the two girls decide to go their own separate ways, and Juli starts to seriously work on her own sound and, to sing. While producing her own music, writing her own lyrics and putting it all together, Juli also starts to play her music to other people, first at private parties, but quickly at small venues in her home town and in Weimar, a city known for its rich cultural history and renowned art university. But other people also begin to recognize her talent. Berlin-based producer and DJ Oliver Koletzki has just had his first major success with “Der Mückenschwarm” and is looking for talented newcomers for his freshly started label Stil vor Talent when he stumbles upon Juli's music. 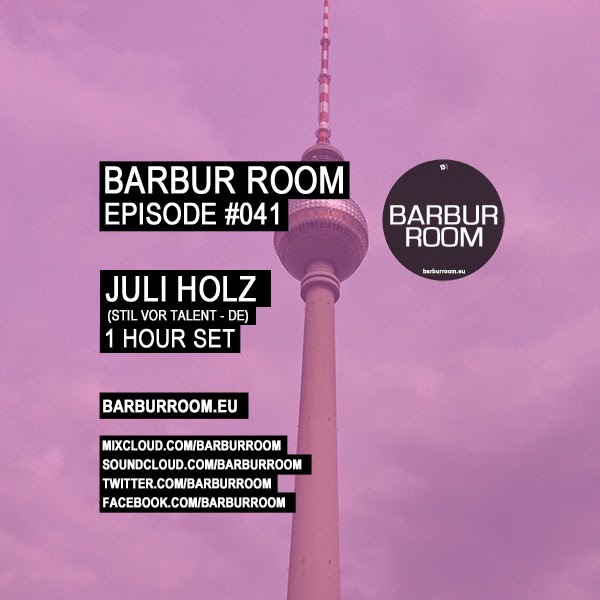 It shall take another three years until her first EP “Tränen auf dem Dancefloor” is released, but in this time, Juli moves to Berlin and the city's extensive nightlife and mesh of emotions become the backdrop of her poetic techno, as one might term it. Her songs express a lasting hope for love that is embedded in a world of contrasts, somewhere between radical hedonistic moments and the loneliness of the big city. While her voice is mostly whispered, these soft melodies are underlined by warm synthesizers, the never ending stomp of the bass drum and a clear vision of electronic music that is influenced by old and new. One can hear the soul of R&B and deep house, the straightness of techno, the weirdness of electronica of the likes of Daf or Kraftwerk as well as the pop appeal of German and international singers such as Jochen Distelmeyer, Peter Licht, Nina Hagen, James Murphy, Erlend Oye or Justine Electra. After her first release, she contributes the track “Zuckerwatte” to Oliver Koletzki's album “Großstadtmärchen” that is played by RadioEins, Fritz and MotorFM and becomes one of the most successful singles of the album. At the end of 2010 she releases her second EP “Winterabend” together with the producer Daso; and Juli Holz continues to perform live, something that has always been very important to her. In the space of the club she feels the close connection between her and the audience, while she stands on stage, separated only by the glow of her laptop and the microphone in front of her. While joining The Koletzkis on some of their tour dates, she has also already played in some of Berlin's most famous locations such as Watergate, Maria or Bar 25. Also, she has worked with other musicians and producers such as Jin Choi or Chopstick and Johnjon and has been remixed by the likes of David August or Oliver Koletzki himself. At the moment, Juli Holz is working on her first album that shall see the light of day at the end of next year. Until then, she continues to transform her own experiences into poetic electronic harmonies.